Tour the Holy Hill National Shrine of Mary and take in the incredible architecture with stunning views of the Kettle Moraine landscape. 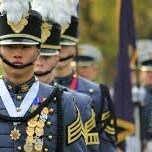 After lunch, go behind the scenes at Wisconsin’s oldest Military Academy where the history intertwines with religion and leadership in some truly breathtaking buildings. TOUR INCLUSIONS: Professional tour director, transportation, lunch, and admissions.